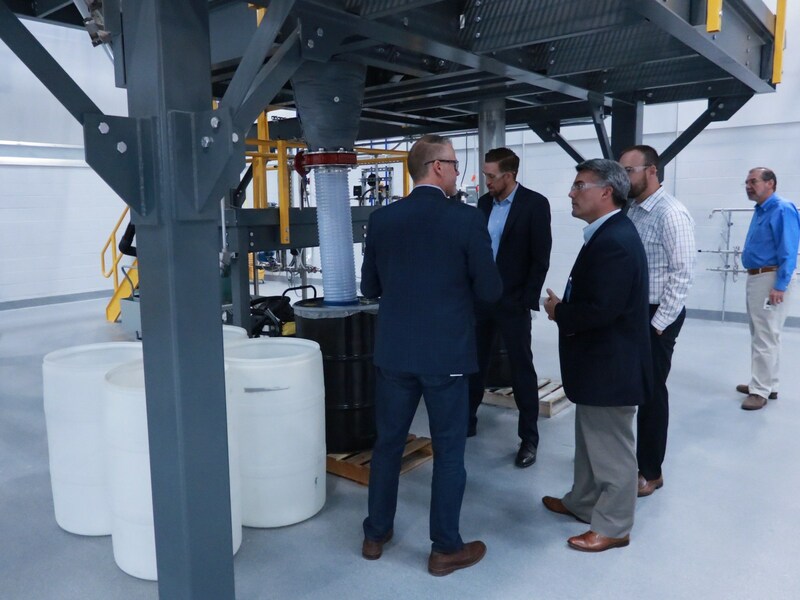 August 23, 2017 – CoorsTek, the world’s leading engineered ceramics manufacturer, today announced that Colorado’s United States Senator Cory Gardner, and members of his staff toured the CoorsTek Center for Advanced Materials in Golden on August 17. Opened in 2016, the Center is one of the most important advanced materials research and development hubs in the world today, and in the vanguard of American science, technology, and manufacturing leadership. The CoorsTek Center for Advanced Materials combines brilliant minds and state-of-the-art tools to support the development of new materials that help product designers, developers, and manufacturers across industries overcome a broad range of challenges through the high-performance properties of advanced ceramics. Jonathan Coors, CoorsTek Co-CEO, Randel Mercer, Chief Technology Officer, and Patricia Mishic, Chief Commercial Officer, hosted Senator Gardner and his staff, briefing them on the current state of advanced materials development and manufacturing at the Center and other CoorsTek facilities in Colorado and beyond, including developments enabling innovative breakthroughs in semiconductor manufacturing, medical devices, and energy production. Senator Gardner was also briefed on the latest CoorsTek advancements in ballistic armor, enabling even greater protection of military and law enforcement personnel. CoorsTek was recently recognized with the prestigious Edison Award for innovation in Applied Technology for its ceramic armor plate technology. Highlights of the Senator’s tour included the Center’s state-of the-art research and development hub outfitted with the world’s most advanced technologies for the design and development of innovative ceramic materials, its sophisticated analytical laboratory and its world-class manufacturing facility featuring the latest manufacturing processes and technologies.